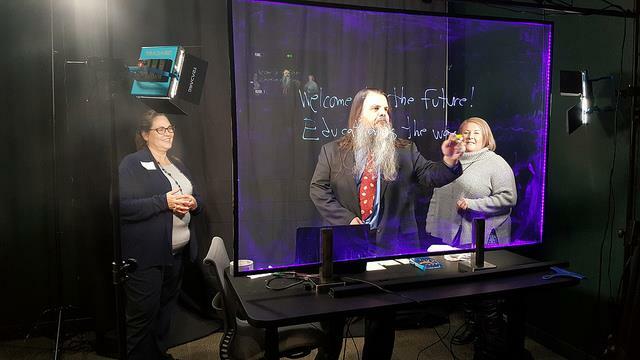 The Lightboard (also known as Learning Glass) Studio is the newest addition to the Multimedia Lab at Truman State University. This technology allows faculty, staff and students to record presentations that require hand written notes, with ease. The studio is set up with the Lightboard itself, backdrop, studio lights, video camera, and a monitor. The presenter turns on the equipment, uses the provided neon markers to illustrate a concept/mini-lecture while looking through the glass at the camera (audience), and special software in the video camera reverses the image so that the writing appears correct (left to right).